Q: Dominique, tell us something about yourself. I was born near Lyon in 1951 and started my studies there, then in Paris, and then I had two years in the United States before returning to start my job in France, primarily in the oil industry. I first travelled with my parents, who would always take us on holiday to different places in Europe – that is what first gave me an interest in travel. When I was in the United States, I travelled to Canada and Alaska; once I got back to Europe, I started longer trips during my holidays, the first being Thailand and then Nepal. My first real expedition, a trek of four weeks, was to Zanskar in Ladakh in 1977. 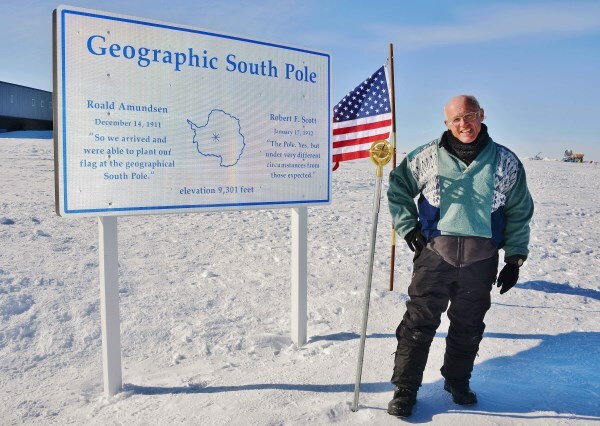 I was one of the very first Europeans to be there – a place where there were no maps, and the trail was unknown. 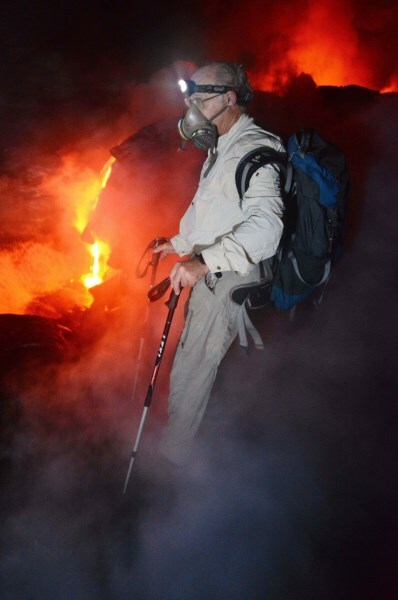 I have also lived in Indonesia for four years, which gave me a great opportunity to discover this country in more depth, and I developed one of my travel areas of interest, volcanos. Yes, I am very fond of extremes, such as deserts and open oceans, but also volcanos, where you can see the strength of nature and admire the scenery. The most impressive volcano I have been to is in the Danakhil depression in Ethiopia, one of the hottest places on earth. It is one of the few volcanos with a permanent lava lake. The first time I went there from Djibouti on a 4X4, once you arrive there is a hike which doesn’t take long, maybe five hours of so, until you go up. There is another volcano in the area called Dallol, but when I went the first time it was closed because of its proximity to Eritrea, so I had to go again. Q: What other travel interests do you have apart from volcanos? I really like festivals and carnivals. Not so much the modern festivals such as music festivals but the ones that truly show the traditions and the history of a place. In Indonesia I was at the Sumba festival which is not all that known. I have been to most of the major festivals in Europe, especially Switzerland has many of the type. The Ivrea festival in Italy is especially interesting but I think the best one was the carnival in the Dominican Republic, that was truly amazing. I also take a great interest in older ways of living, I could call them ‘primitive’ perhaps… I chase such ways of living. I spent a week with the Nenets people in northern Russia. This was a group trip and we went to a town called Salekhard in the Far north and drove out from there until we got to a traditional camp, if you can call it that. The people live in huge tents and while it is -20 outside, inside it is very warm because they have a big stove in the centre of the huge tent. The people are herders of reindeer and live entirely as nomads within nature, but already this way of life is threatened. 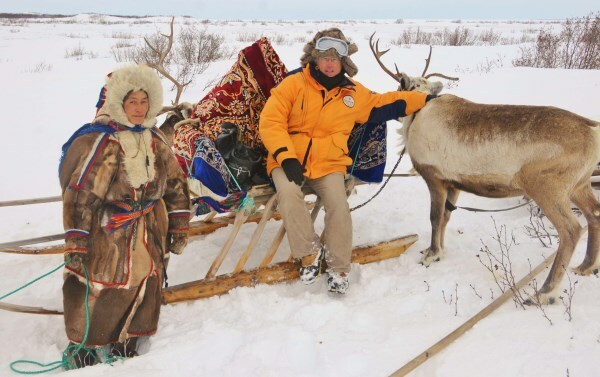 I remember the 16-year-old daughter of the family where I was staying, though she knew how to raise reindeer, already she wanted a more modern way of life and didn’t intend to stay there with her family. In Mongolia, I stayed with the Tsa-tan, who now only number a few hundred and who are probably related to American Indians. I have also spent time with the Korowai tribe in Papua in Indonesia – these are people who live in trees. Also in Papua, in 1977 I visited the Dani people in the Baliem Valley, who wore the ‘koteka’, at the time they knew very little about modern clothing and life. I don’t mind at all living with these inhabitants and understanding their unique ways of life. Q: So, you don’t mind hiking long distances to discover these tribes and volcanos? No, quite the contrary. In fact hiking is one of my interests in terms of doing the Himalayas. 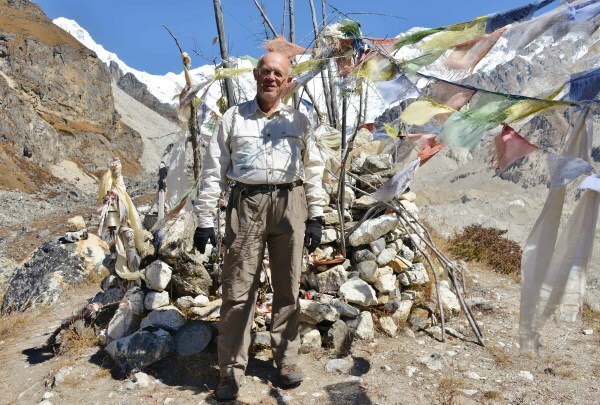 I have been to Nepal twelve times and every time do major treks to many peaks there. My dream would be to do all the peaks above 8000 meters in Nepal and Pakistan. I usually walk quite slowly, and prefer to do such trails alone or with friends, with a guide, rather than with a group. In this way, if there is a monastery on the way, I can take my time to explore it rather than rushing to follow the rest of the group. 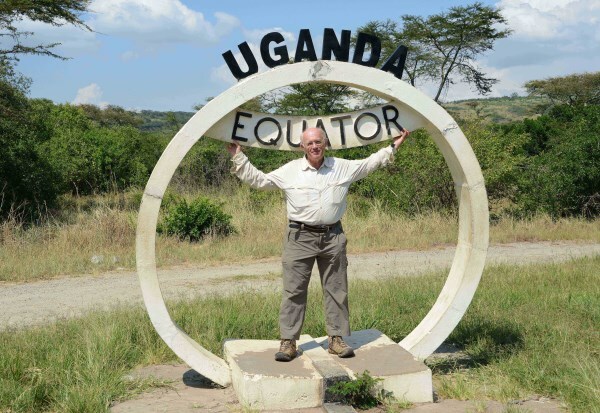 And, as I already said, I am attracted to extreme points, so I have hiked to the top of Kilimanjaro, the highest point in Africa. 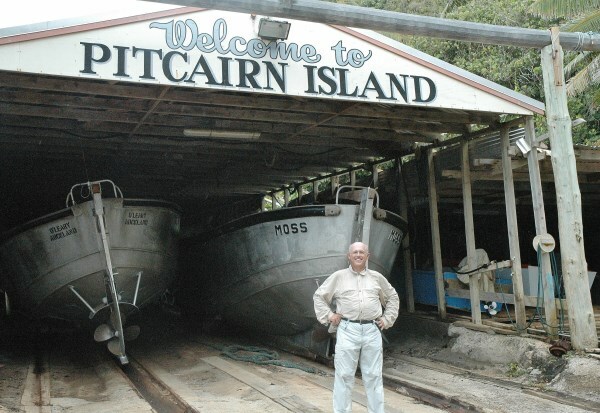 I have also been to both the North and the South Pole, as well as Pitcairn – I am very proud of Pitcairn. Also I have been to the coldest place on earth (Omiyakon in Russia) and the hottest place on earth, in Danakhil which I mentioned before. Q: Can you identify some favourite countries? Nepal is my favourite. I also really like Japan because the culture there is very profound even though it is a modern country. The constant ‘fight’ between modernity and tradition is interesting to observe, and the people are very polite and respectful as well. I also like Italy and Spain because of the quantity of historical things to see. Q: Do you consider yourself a typical Frenchman? No, not at all. I consider myself a citizen of the world. I like to turn towards other cultures and end up spending very little time in France nowadays. Q: Does that mean you travel constantly? I would say I travel for around 9 months in the year now. I took the decision to retire before retirement age. This was not the easiest of decisions, but in the end travelling is what I enjoy and I prefer spending time doing that than earning more money. I still have travel aims, I would like to complete the United Nations list where I have around twenty countries left, most of them in the Pacific where I have only done half the countries. Q: What are your travel plans for the rest of the year? I’ve just come back from Slovakia. Next I am going to the re-enactment of Waterloo in Belgium, which celebrates the 200 years since the battle. I am then going to Fiji for a month. I have never been there, and though initially I thought of combining it with some other countries like Tonga, I realised that there is no time to do all that in one month, Fiji has so much to see. Then I will go to Bhutan to do the Eastern part of the country; when I first visited in 1989, this was closed, so now is the chance to see it, and my main reason is to do the Snowman trek which is quite a mythical trek. It is a long trek, goes through many passes and is known as the best in Bhutan – I have to check that! Toward the end of the year I will go with a friend to Nagaland, Mizoram, Meghalaya and Tripura in India. This will be a chance to attend a unique tribal festival of the Naga tribe. Marco Polo, Magellan, Napoleon and Einstein. The choices are probably self-explanatory.